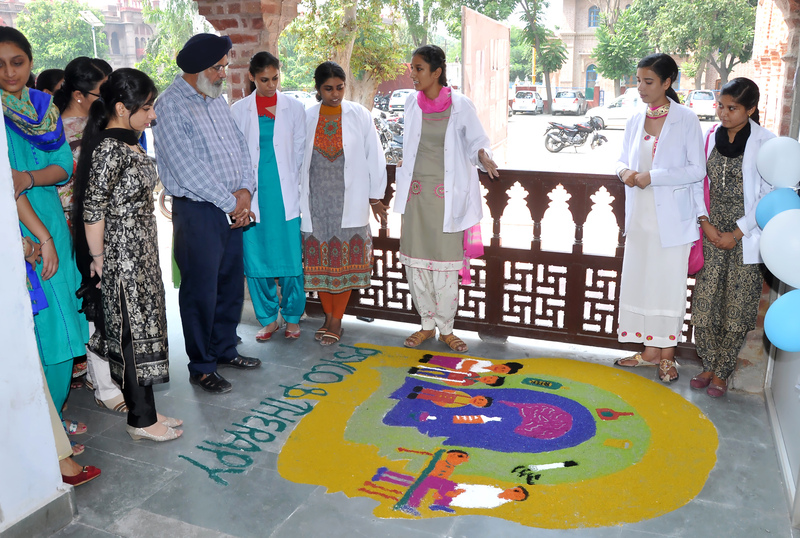 The PG Department of Physiotherapy at Khalsa College, Amritsar celebrated the ‘World Physiotherapy Day’ here today. 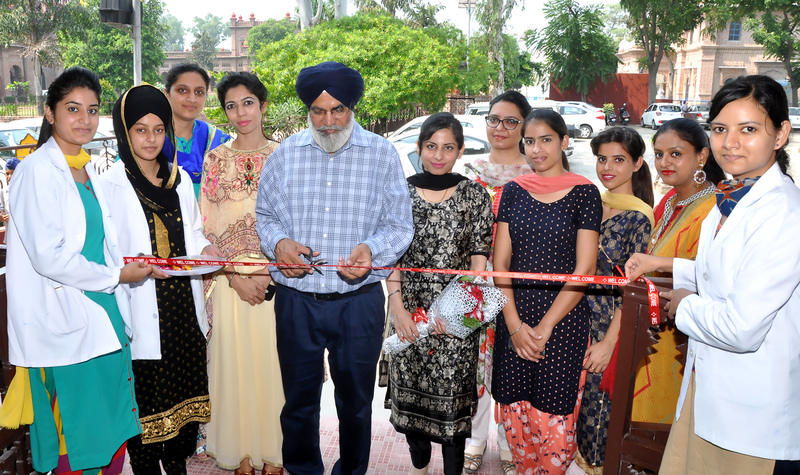 The event was inaugurated by respected Principal Dr. Mehal Singh. This day is celebrated by the department every year. The event started with the addressing note by Principal Dr. Mehal Singh to the Physiotherapy students. The students celebrated the ‘World Physiotherapy Day’ by participating in various activities organized by the department. The activities included various competitions among the students viz. ‘Physiotherapy Rangoli Competition’, ‘Poster Presentation’, ‘Model Presentation’, ‘Quiz Competition’ and ‘Best Classroom Competition’. Apart from this the students also participated in ‘Debate’ on various Physiotherapy related issues. The active participation of the students from Bachelor as well as Master Programs showed their enthusiasm for the day. 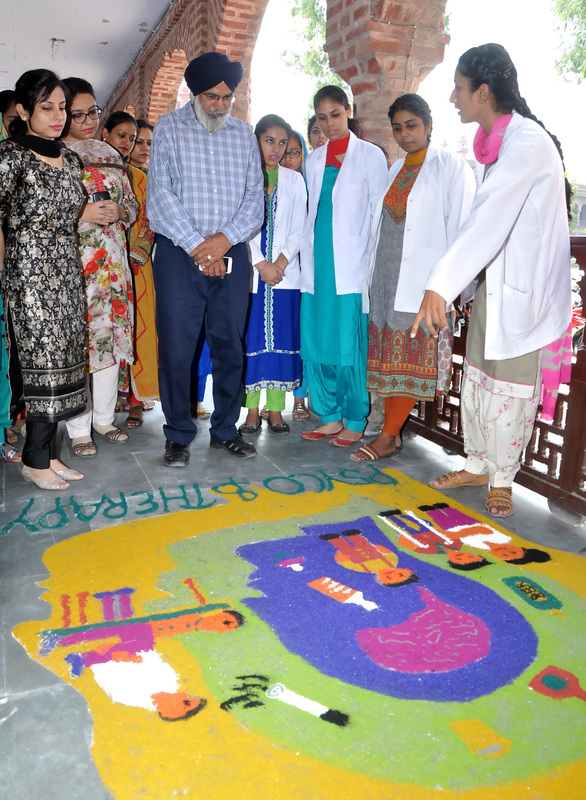 They tried to depict the various medical and health issues through creative art. 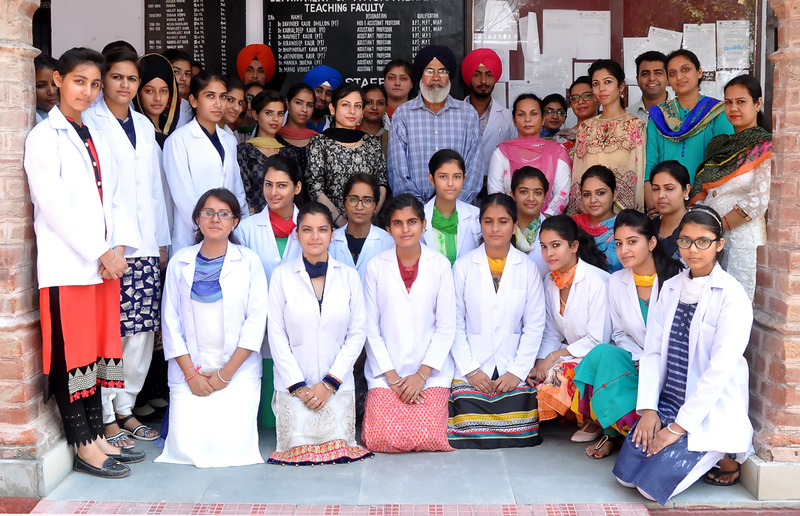 The head of the department Dr. Davinder K. Dhillon made the students aware of the importance of this day and also discussed the current scenario and future trends of Physiotherapy. The Physiotherapy staff guided and helped the students to plan and implement their ideas creatively. Prof. Navneen Bawa, OSD, Prof. Sukhmeen Bedi, DAA, Dr. M.S. Batra, Dean Sciences and the Heads of the various departments were present to encourage the students. Physiotherapy staff Dr. Kawaldeep Kaur, Dr. Navneet Kaur, Dr. Harneet Kaur, Dr. Jatinderpal Kaur and Dr. Manu Vishist were also present there. The winners of all the competitions were rewarded with certificates. 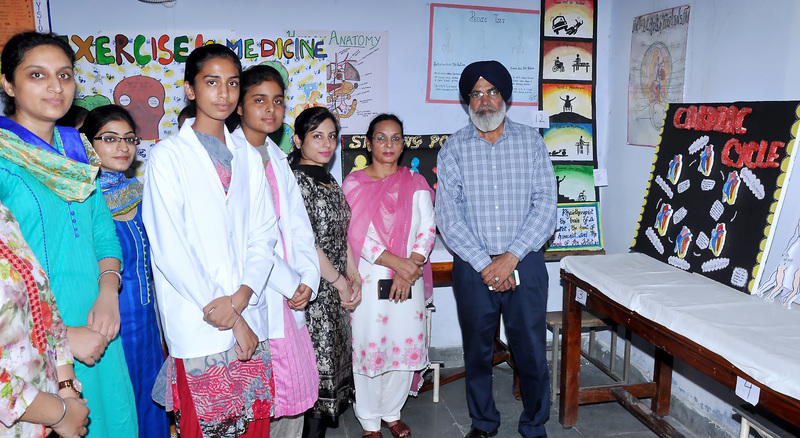 Principal Dr. Mehal Singh appreciated the efforts of the students and motivated them to organize such events in future as well.